Most people don’t have an investment plan (personally, financially, etc.). But as I have said before, without a path and a plan the default is always struggle. For people that do invest, it tends to be in others. 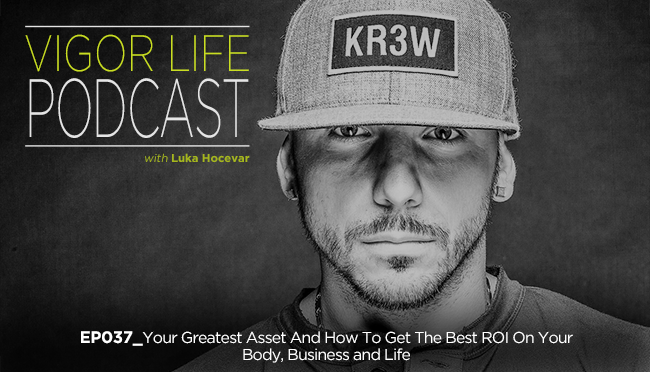 In this episode I cover the most important philosophy when it comes to personal development and why even people that “know this” end up investing in areas that lose them time, health, money and life! Learn how to change where you invest and get the best return on investment ever. The exercise that will help you create clarity around the question, “Are you working towards or away from your goals? Book: Linchpin – Are You Indispensable? This entry was posted in Podcasts and tagged Body Transformatiom, Business, Coaching, Entrepreneurship, Fear, Fitness, Fitness Business, Goals, Happiness, Life, Mindset, Performance, Personal Development, Podcast, Self Development, Self Help, Success, VigorLife. Bookmark the permalink.